Over the last year, much attention has surrounded a phenomenon known as long-term potentiation (abbreviated as LTP) which promises to bring new light to the nootropic universe. It is a concept that describes our brains’ innate ability to encode new knowledge and behavior. LTP works through the programming of nerve connections, which physically represent our thought patterns and in essence, whatever is stored inside of our heads. When I first held the small blue container from NaturalStacks, I had a feeling that CILTEP would be a powerful supplement. Could this serendipitously-discovered formula truly live up to all of the hype I’ve seen online? Throughout my years of experimenting with nootropics, I have found it difficult to find substances that were both effective and consistent – staying beneficial in the long term. I had hoped this was all about to change. Stacking CIPTEP – Who is it for? 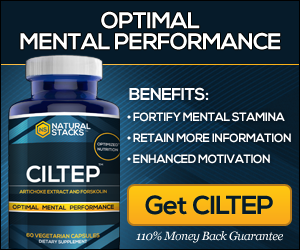 The benefits of CILTEP are highly valuable to nootropic fanatics for a few reasons. Firstly, for the positive effects on memory it can have. Because long-term potentiation facilitates our ability to use and store new information, it can be a great adjunct to studying and otherwise learning (or practicing) new skills. Another desirable effect is an amplification of the activity of neurotransmitters such as epinephrine, acetylcholine and dopamine. This results in a powerful improvement in cognition, as well as overall speed. Some people might look at CILTEP as a way to improve athletic performance, because it also increases sensitivity to certain hormones. This could aid both workouts and recovery time by naturally altering the body’s chemistry. What Does the Stack Contain? An interesting part of the concept of the CILTEP stack is that you don’t need specific ingredients in order for it to be valid, nor for it to work. The functionality behind CILTEP occurs with the synergy of three pharmacological classes of chemicals – each with a factor that helps the next. Chiefly, the effects of CILTEP are created by increasing levels of cyclic adenosine monophosphate, or cAMP for short. cAMP is a molecule that performs the function of second messaging, which is the transmission of signals from the outside of a cell to parts within it. For example, a receptor can affect the activity in a cell’s nucleus through a second-message molecule such as cAMP. Specifically, cAMP allows hormones such as adrenaline and glucagon to cause their effects on cells, as well as activating protein kinases. When you have more of it, neurotransmitters function more effectively because their signals on cells act more efficiently. At the current time, there is only one common supplement that directly raises cAMP levels. It is forskolin, an Indian plant extract that is known for enhancing sensitivity to various substances. Forskolin can be found usually as capsules from health food or supplement vendors – it isn’t hard to find. Directly increasing cAMP is perhaps the most limited part of the flexibility of the CILTEP formula, because usually forskolin is used. One option is rolipram, which is a relatively unheard of racetam drug that has been sought specifically as a PDE4 inhibitor. In practice. it isn’t often used because of its side-effect profile, which includes nausea and vomiting. More commonly, the PDE4 inhibitor used for CILTEP comes from artichoke extract in the form of luteolin. This chemical acts as an antioxidant and immunity booster in addition to its inhibitory effects. Luteolin doesn’t have the significant adverse effect profile like with rolipram, and since artichoke extract is a common supplement it is easily acquired. A way to further boost the effects of cAMP from this stack is by adding a compound to naturally increase dopamine levels. Not only will you feel an intensified dopamine response due to the other ingredients, but stimulating the correct receptors will release extra cAMP. This is harder than one thinks, however. Activating the D2 receptor can potentially reduce cAMP levels, while the D1 receptor increases them. The substances that are more likely to help D1 act indirectly, via the NMDA receptor. This includes most of the racetams and ampakines such as sunifiram. It also helps to take supplements that support natural dopamine production (such as tyrosine or phenylalanine) to ensure that receptors are able to be activated. As noted above, the materials needed for CILTEP are easily found. They can be picked up in a shop or ordered online either as capsules or bulk powder. There are no standard dosages for each part of the stack, but it is recommended to take one standard dose of each ingredient to attain the CILTEP effect. It can take up to a week to start feeling its effects such as an altered mood. Side effects are minimal, as it is generally considered safe to moderately increase cAMP levels. However, PDE4 inhibitors are well known to cause nausea when taken in high amounts – more than the standard dosage. With rolipram, this is seen even at the regular dose. So as long as you are careful with amount, there should be no problems. Due to the realized importance of this system, many users of nootropics (especially from Longecity, an online forum dedicated to the cognitive improvement and life extension) have researched and developed what is called the CILTEP stack. This small but complex combination of supplements has been sought to induce and take advantage of LTP through a directly-controllable means. CILTEP stands for “Chemically-induced long term potentiation”, with the ‘E’ often being ignored in the mainstream. However, it would appear that it stands for “enhanced” when properly using the acronym. Since I received my package from the dormitory mailroom at around noontime, I was already fairly far into my day. On the label for CILTEP, it recommends taking two to three capsules in the morning upon waking, or on an empty stomach. Grudgingly, I decided I had to wait until my stomach emptied itself, so I wouldn’t be wasting the potency of the formula. After going to the gym with a friend, I decided to pop three capsules before showering; not knowing what cognitive changes awaited me. I didn’t feel much immediately, possibly due to the fact that my stomach wasn’t completely empty and that perhaps the effects arrived over time. Knowing that the CILTEP stack was designed to enhance learning ability, I also assumed that that best way to judge it was by studying. The rest of that day, I did notice a subtle mood lift and increased sociability. In a way, I count this as my first day because I followed directions precisely by taking CILTEP upon waking. As usual, I took my 200 milligram tablet of SAM-e, and put three CILTEP capsules down the hatch. The past couple days, I had been thinking about the need for co-administering B-vitamins with SAM-e, so I swallowed a tiny bit of an energy shot as an attempt to meet this quota. I have heard stories about CILTEP potentiating caffeine, but I had no idea that a few milliliters of energy shot would feel this strong! I walked to work (an on-campus job) with my goals set in mind and the energy to perform at my best. Three hours of programming and web administration seemed to go by in a blur of productivity. Honestly, I was so focused on the task at hand that I hardly remembered I had taken the CILTEP! After work, I went to my only class that day – an oral and written communications course in which I had to regularly perform speeches. I felt like I was able to better understand what the professor was saying, and I had a brilliant idea for the topic of my next speech, which I quickly wrote down on some paper. The rest of the day, I powered through a section of my logic design project that involved many pages of Boolean algebra and playing around with microchip arrangement. Somewhere in the middle of that, I remember telling my dad on the phone how amazing CILTEP was. I will say that around 9pm or so, I crashed. I could tell that the extra productivity had its toll, and I needed sleep badly. Oddly enough, I couldn’t get myself to sleep for a couple more hours, since I was still focused. At the time I was listening to some heavy metal on my phone, and I had to switch to classical because the fast music was fueling the mania. The next day convinced me that perhaps I took CILTEP’s power for granted. It DOES NOT help if you don’t get enough sleep! I woke up feeling very tired, groggy, and in a terrible mood. After ingesting my next dose, I only felt a little better. The entire day was pretty miserable until I took a nap, after which I experienced the mental energy from Day 2 but to not such an extreme degree. After some recollection, I realized that for CILTEP to work well, you have to be in a decent position to start with. My unhealthy eating the last couple days was starting to creep up on me, and I forced myself back into my typical good diet. Other research I did online suggested that under the CILTEP effect, one’s body can use up certain resources more quickly. This included calcium, magnesium, and possibly even blood glucose. I decided to be extra careful to get enough nutrition in my diet, to ensure CILTEP works in the future. Thanks to getting enough sleep, I had a much better day than previously. I still had the slight boost in energy, but not at the level of Day 2. This was slightly disappointing, as I did enjoy the second day’s intensity (apart from the maniacal moment). More noticeably, I realized that I had significantly less anxiety since starting out with CILTEP (not surprising… studies show that LTP reduces anxiety). I haven’t been worrying about insignificant things as much, and I am more willing to just take action, rather than overthinking everything. I’m also finding that I’m getting along with people a lot easier, and trending towards being in more open areas to socialize. The next two days (Saturday and Sunday), I abstained from taking CILTEP, as it is recommended by the manufacturer. This may be intended to give your mind a “break” of sorts from high caliber potentiation and dopamine production. I maintained the diminished anxiety and boosted sociability from the days on the stack. This could indicate that the effects of CILTEP are indeed long-lasting. After my weekend break from CILTEP, I got back into my observations. Because of my unfortunate food sensitivity to whey, I was very sleepy for the first half of the day. After a nap, however, I was rocking it! While helping a friend with his programming assignment, I rekindled interest in programming that I haven’t had in years, and I felt great getting back into it. This motivation is a great sign that CILTEP is helping me reach new heights, and I can’t wait to see what next week brings! CILTEP is a promising new stack for those who are looking for a new learning enhancer or really, for anyone who wants their brain to run more efficiently. It shows the actions of cAMP and how this understanding can better the nootropic world for all of us. It’s easy to build and has amazing potential, so why not try it? Ok, so you know that we love CILTEP. But how well does this nootropic play with others? Let’s take a look. I call these “combinations” rather than nootropic stacks because, in my mind, a stack is something intentional. These combos, on the other hand, are experiments. Repeated use of CILTEP (4+ days in a row at the recommended dosage) is mentally draining. I take 2 pills with morning coffee or gyokuro yamashiro tea and take a break every 3rd or 4th day. Every 4th or 5th break is 2-3 days, depending on my schedule and emotional state. Ben Hebert, co-founder of Natural Stacks, also takes 2 in the morning with a healthy cup of Bulletproof Coffee. CILTEP pairs exceptionally well with Perceptiv and oxiracetam, both individually and together. I believe the trio is synergistic. Armodafinil: only once per week will I take a full R-moda daily dosage (150mg) with CILTEP. The other 4-5 days of CILTEP use, I use either 0.25 R-moda (quarter of a pill), or none at all. The ALCAR in Perceptiv is usually sufficient enough to curb CILTEP’s mental tiredness effects, so long as I keep to 2 pills per day. Phenylpiracetam: when phenylpira wears off, I am more tired than when CILTEP wears off. When they wear off together, I have zero focus. I have to experiment with these a little more to find a dosage and dosage schedule that works. Unifiram+Sunifiram: this combo works very well for me, and I prefer it to phenylpira. Much more testing is needed before I know what dosages stack well with CILTEP. Fish oil helps maintain alertness. It’s unclear whether this effect is synergistic. Lastly, exercise enhances the effects of CILTEP, much more so than other “staple” nootropics (racetams, modafinil, etc.). Exercise is crucial to mental and emotional well-being — hit the gym! That’s how I discovered the culture, at least. It led me to modafinil via Dave Asprey, which led me to the Bulletproof/Primal/Paleo high-nutrient diet. Asprey once remarked that eating the right diet was first and foremost the best nootropic. 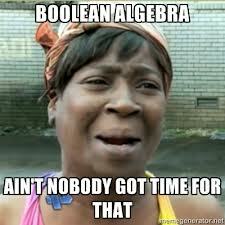 It’s true. The reason I was interested in the CILTEP was both on its reputation–the Tim Ferriss remark about it being as good as modafinil is seductive–and also because of its metabolic basis. I’m an engineer, and like any biohacker, I have my own personal hobbies that I enjoy very much–I play chess in my spare time, am a hobby short film director and writer, I play piano–almost all of which require brain power and benefit from its increase. CILTEP appears to have the greatest effectiveness of the non-prescription smart drugs–your review says as much! Maybe they’re “smart” drugs according to an N-back test, nootropics enhance not just one’s thinking capacity or focus, but really–the ability to better live life. About CILTEP specifically, it’s but their cellular/biological basis is what enables them to perform: it’s not just good for the brain, it’s good for the cell, good for the body. I decided to take the plunge and purchased CILTEP myself. After reading the reviews and going over the modafinil side effects I would rather try the natural cocktail vs. the lab one. Thanks for the honest review and I’ll check out some more recommendations on the list. As for what I have found to be most effective is eating a healthy diet – especially brain fuel, cutting out sugars and useless/empty carbs, and exercise you enjoy. My own sleep schedule is at 6.5 – 7 hrs a night since I found that sleeping over that makes me feel horrible. I can go with maybe 6 – 5 hrs for a while but burn out and limit that. Have you thought about behavior modification and time management techniques in addition to these nootropic stacks? I would be really interesting to see if they can stretch your biohacking even further. I’m trying some out and enjoy the Pomodoro method so far. Is it good for depression?